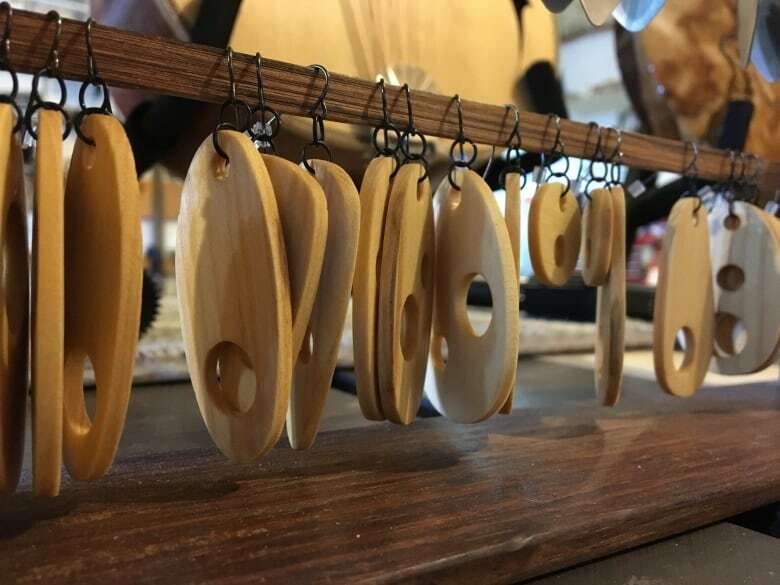 Some Island artisans and businesses are taking a part of Charlottetown’s heritage and giving it new life. In 2015, about 300 of Charlottetown’s elm trees had to be cut down, in an attempt to help stop the spread of Dutch elm disease. Now, treated wood from those trees is being used across the Island. Some Island artisans and businesses are taking a part of Charlottetown's heritage and giving it new life. In 2015, about 300 of Charlottetown's elm trees had to be cut down, in an attempt to help stop the spread of Dutch elm disease. Now, treated wood from those trees is being used across the Island. 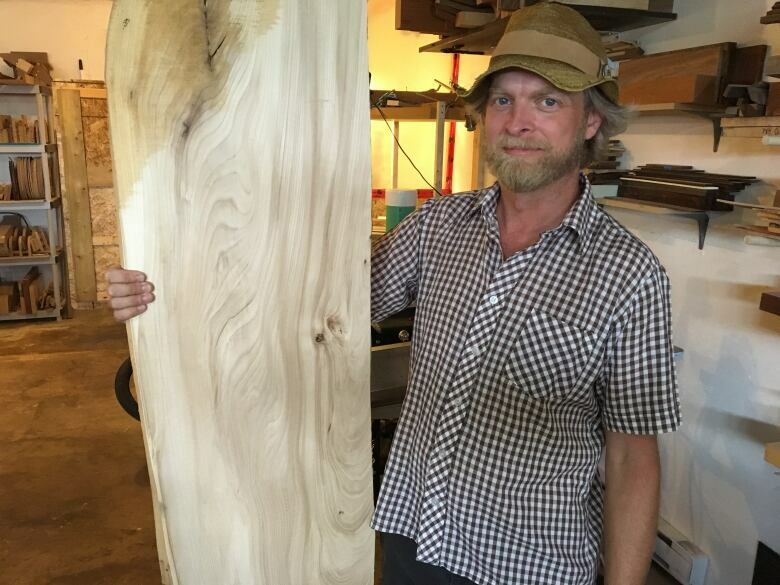 Instrument maker Adam Marsh Johnston said, once he heard that wood from the diseased elm trees would be available, he got to work finding some right away. He says so far, working with it has been an adventure. "It's very easy to bend," he said, "but on the other hand, is a bit of a nightmare because it's a very open pored wood so it just drinks up the lacquer. I keep putting it on and it keeps sucking it up, and I'm working hard to get a nice level finish on the wood." Johnston is constructing a solid bodied electric guitar, and an acoustic guitar with the salvaged wood. "It will be a complete surprise to hear how it performs acoustically, and structurally, it's being built as an experiment, I'm not putting it in anyone's hands until I see how it performs and how it actually works as an instrument." He's also made earrings with it, which he's selling in shops across the Island. He thinks people probably like the idea that they can own, and wear, a part of these trees that once meant so much to the landscape of downtown Charlottetown. "I think that's what we do with any kind of loss, is try to hang onto a piece of it." To many residents of Charlottetown, the loss was immense. In April 2015, a memorial was held for the trees at Trinity United Church. 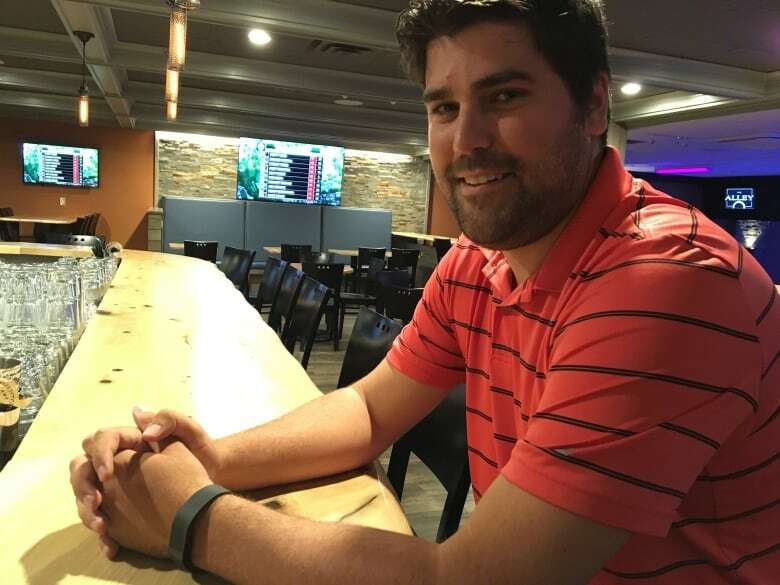 Now, just a block away, large portions of the trees can be found at The Alley, a bowling alley, bar and restaurant that forms part of Charlottetown's Murphy Centre. "We're very pleased to be able to make use of the trees, and help preserve them." Greg MacDougall is general manager of Murphy's Community Centre. During a recent renovation, the elm was used to create The Alley's main bar, and nearly all of its tables. 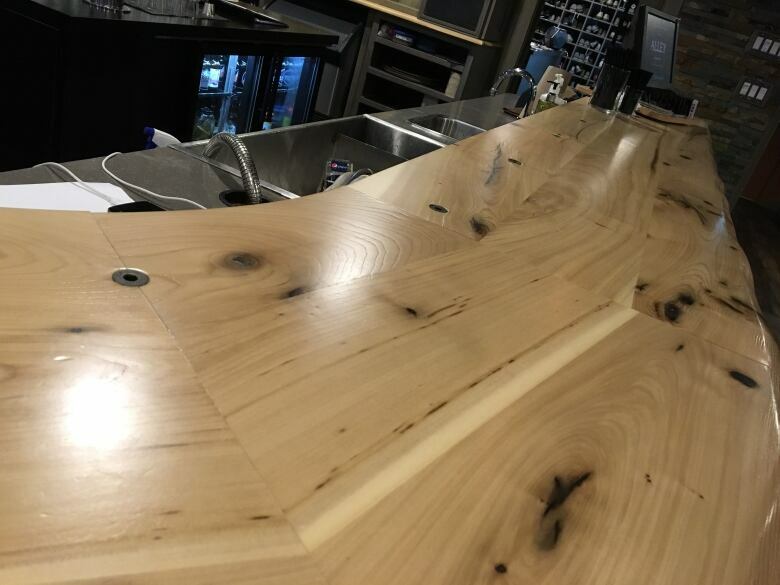 MacDougall got the idea from nearby Upstreet Brewery, who used some of the repurposed wood for a bar top. He says it wasn't cheap, but the center brought in as much of the elm as they could. "It brings a unique table conversation piece to The Alley, most of the trees that came down were from the downtown area, so it's nice to be able to keep a part of them,' he said. "They add a lot of character." 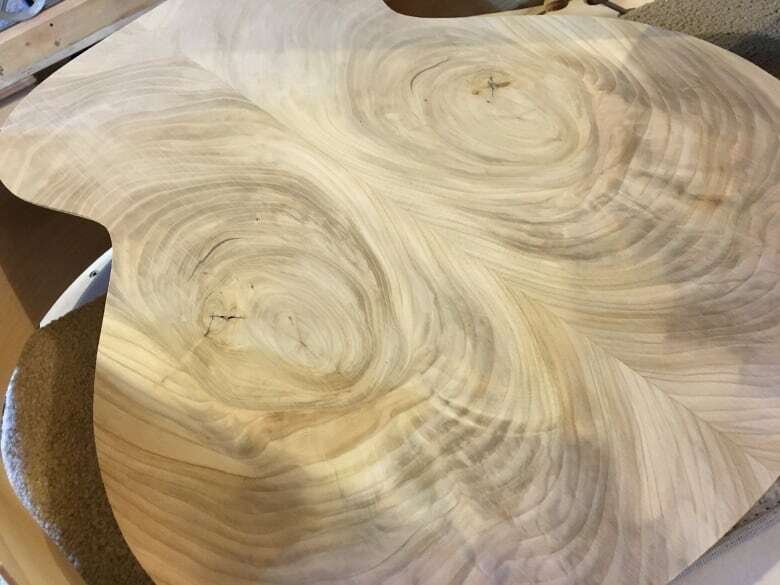 In order to be usable, the wood had to be treated to get rid of the fungus that causes Dutch elm Disease, as well as the beetles that spread it. Bark from the trees had to be removed and disposed of and the remaining wood had to be kiln dried to prevent any spread of disease.